We are professionals from across the nation, with centuries of collective knowledge and expertise. Rachel brings a methodical and razor-sharp intellect to solve problems that suit her client organization, its ideal culture, and business goals. She has led and managed teams for over 20 years. Rachel enjoys a good challenge and has over two decades of experience managing big projects, uniting diverse stakeholders, guiding teams through change, and leading complex and ground-breaking achievements. She is a powerful advocate of community: in her own team, among her neighbors, and her network of clients, colleagues, and friends. She is a TEDx speaker and serves on the Council of Trustees at South Dakota State University. Rachel is a Mensa PhD scientist, a certified Project Management Professional, a global citizen, a choral singer, and an art patroness. Her great-grandfather homesteaded in Brookings County, South Dakota, and Rachel spent her formative years on a small family farm. She finds beauty in the prairie, its big skies, and its people. 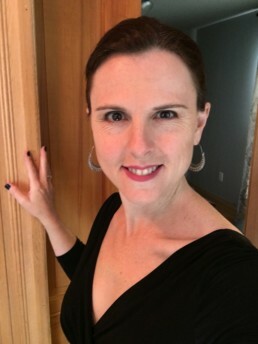 Carmen Toft is an operations and administrative professional with 15 years of experience in industries including hospitality, law, agriculture, health and medical, and politics. Most recently, Carmen started freelancing as a virtual assistant allowing her clients more freedom to grow their businesses and spend time with their families. Carmen believes deeply in community service, spending several years as a senior ambassador for Volunteer Sioux Falls and running an annual feminine hygiene product drive to honor the National Day of Service. In addition, Carmen has a profound respect for the arts, receiving a B.A. in communication studies and theatre from South Dakota State University. After traveling extensively nationally and international with VEE Corporation, a children’s theatre company, she now sits on the board of directors for Prairie Repertory Theatre. Since graduating with honors from Black Hills State University, Michelle has had a rich and diverse employment history. From wildland firefighting to collecting data for a $4 million CDC grant, she has accrued a wealth of both practical knowledge and professional experience in the work force. Her unique background allows her to bring a pragmatic yet nuanced approach to communications. Michelle is an up incoming freelance writer whose ambition and fresh style is prevalent in her top-notch work. Currently she is writing Juice, the Rose Group’s first book to revolutionize leadership through the labor force. Her philosophy is that when she enjoys writing a book, her audience will enjoy reading it. Her work is polished, thoughtful, and professional. 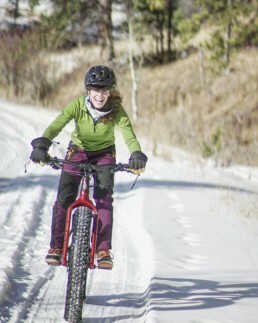 Michelle can often be found mountain biking with her two dogs in the hills surrounding Spearfish. On rainy days she’s in her studio, sipping coffee and painting South Dakota landscapes. 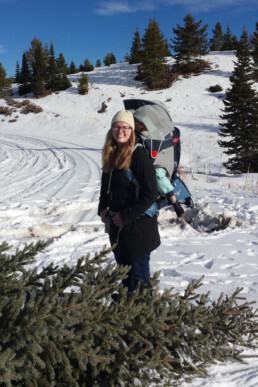 Laura grew up in Utah but has lived in Colorado, South Dakota, and now Wyoming, but the Black Hills, more than any other place, really felt like home. Although her education began at Utah State University, it took a bit of a detour before she earned a B.S. in graphic design and photography from Black Hills State University. While learning the skills required to get her diploma, she also pursued unique industry experiences. She interned at the Sanford Underground Research Facility, gave a Pulitzer Prize winning photographer a tour of Deadwood, helped haul a portable darkroom for wet-plate photo development through the hills one summer, and won a few ADDY awards for her work along the way. She believes that learning is life-long and loves acquiring new skills and techniques that she can then apply to her work. She admires clean, simple design that communicates well in addition to being visually appealing. She currently enjoys applying her style to designs for RGI. When Laura is not designing or taking photos, she enjoys working on personal art projects, curling up with a good book, and spending time outdoors with her dog, husband, and daughter. Production credit: Mike Edgette, Tallgrass PR. Thanks a million!